Mount Saint Vincent University Faculty Association (MSVUFA) is the certified bargaining agent for all full-time faculty, professional librarians, and full-time lab instructors at the university. First established in 1967 as an association, it was certified under the Nova Scotia Trade Union Act twenty years later, on March 16th, 1988. Aided by strong bargaining teams, committed executive leadership, and judicious handling of grievances, MSVUFA has achieved significant gains in the terms and conditions of work of its members since the first contract was signed on April 17, 1989, after a strike lasting 13 days. There are currently about 150 members. In addition to representing its members in all matters of employer-employee relations, including salaries and working conditions, MSVUFA exists to protect and enhance academic freedom in teaching, research, thought, and debate, to maintain high academic standards within the university, and to promote the betterment of the university and higher education in general. Through various social events, MSVUFA encourages members from all three faculties of the university to meet, exchange views, and form the bases of common action. Among its most important functions, the Faculty Association provides confidential advice to members, particularly through the Grievance Officer. The Association works formally through the filing of grievances where appropriate. Whenever possible, it strives to resolve conflicts informally. The association also strives to promote the joint interests and welfare of its affiliated associations: the Association of Nova Scotia University Teachers (ANSUT), the Canadian Association of University Teachers (CAUT), the CAUT Defence Fund, the National Union of the Canadian Association of University Teachers (NUCAUT), and the Halifax Dartmouth District Labour Council. MSVUFA is run by elected officers, with the aid of a partial-time Executive Assistant, and depends on the active participation of its members. Association affairs are managed by an Executive Committee whose members are elected for one-year terms and are eligible for re-election only twice to the same office. The Grievance Officer is appointed annually by the Executive, on which she serves as a non-voting ex-officio member, up to a maximum of three years. The immediate Past President is also a member of the Executive. In addition to the executive officers, a Nominations Committee of three members is elected annually and, in between rounds of bargaining, so also is a Negotiating Committee (four members plus the Vice-President). During years when bargaining occurs, the Negotiating Committee is replaced by a Bargaining Team appointed by the Executive and serving at its pleasure. The Team is headed by a Chief Negotiator who is also appointed by the Executive, of which she is an ex officio, non-voting member, and serves at its pleasure. Standing Committees of the Association include, in addition to those mentioned above, a Social Committee, responsible for social and cultural activities; a Financial Donations Committee, responsible for authorizing donations within the limits set out in the Constitution; an Investment Committee, which oversees the investment of Association funds; a Scholarship and Bursary Committee, which oversees the allocation of scholarship and bursary funds, and a Grievance Committee, which advises the Grievance Officer. MSVUFA also represents the collective interests of the academic staff through representation on a variety of committees and other governing bodies of the university, including the Board of Governors, on which the association president sits as an ex-officio voting member. Please click here to see a list of current members serving on our various committees. Every member of MSVUFA is a member of CAUT and receives all the benefits that membership brings. 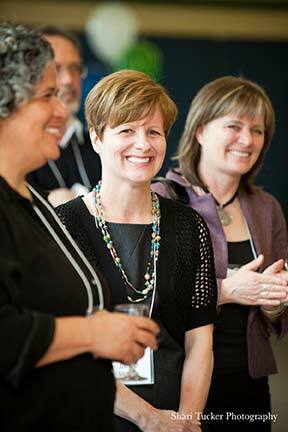 Founded in 1951, CAUT serves as “the national voice for academic staff” in Canada. The issues with which CAUT is concerned include threats to academic freedom and tenure, the quality and accessibility of post-secondary education, and the protection and enhancement of economic benefits for its members. All members receive the CAUT Bulletin, which offers articles on academic and institutional matters, as well as practical guides to such things as income taxes and sabbatical leaves. The CAUT Defence Fund was founded in 1978 to provide unionized academic staff associations with a unified strike fund. Among other things, the Fund provides benefits to associations while its members are on strike or locked out and experiencing loss of salary. Its member associations, 38 in number, are all members of CAUT and represent over 18,000 academics in Canada. Its assets total over $20 million. Every member of MSVUFA also belongs to ANSUT, which provides a formal means of communicating with most other faculty associations in Nova Scotia and represents member associations in such matters as advocacy and consultation on provincial government policy on post-secondary education. ANSUT publishes an occasional Newsletter, which all members receive. Membership in MSVUFA is not a condition of employment, but all full-time academic staff are members of the bargaining unit, even if they have elected not to be members of the Association. Dues, currently set at 1.15% of gross annual salary, are deducted by the employer from the salaries of all members of the bargaining unit and are remitted to the Association. The Mount Saint Vincent University Faculty Association Endowed Bursary is awarded annually by the university to a student, based partly on demonstrated financial need. The Margie O’Brien Memorial Endowed Scholarship, named in honour of the first president of the unionized association, is awarded annually on the recommendation of MSVUFA, based on the applicant’s academic standing and her record of community activism.